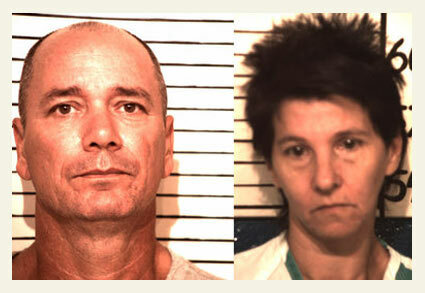 Peter Lucas, 49, and Rachelle Kay Lucas, 47, taken into custody on June 9. 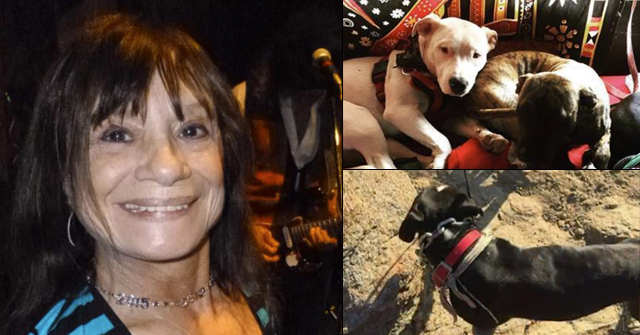 UPDATE 06/11/14: On June 4, 2014 a Comal County grand jury indicted Rachelle Kay Lucas, 47, and Peter Lucas, 49, both of Canyon Lake, for allowing their two pit bulls to roam free and cause the death of Betty Clark, according to court documents obtained by the Herald-Zeitung. The grand jury found enough evidence existed to try the couple on a charge of attack by dog resulting in death. The two were arrested and jailed on June 9. Each is being held under a $15,000 bond. On or about Dec. 21, the defendants “did then and there with criminal negligence, fail to secure a dog or dogs and one or more of those dogs made an unprovoked attack on another person, namely Betty Clark ...,” the one-count indictments read. Comal County is close to DogsBite.org. If there is a trial, we plan to be in attendance. Canyon Lake, TX - While literally in the midst of preparing to contact the Comal County Animal Control Dept. about a reported dog bite fatality noted in a Spring 2014 Comal County Public Health Dept. newsletter, information about this death was reported by the San Antonio Express-News late last night. Betty Clark, 75-years old, was delivering presents to her Canyon Lake neighbors on December 21 when she was attacked by two pit bulls in her neighborhood. Information about Clark was revealed in the same late night article that reported the death of 83-year old Petra Aguirre, also killed by a pit bull. Clark was discovered unresponsive with bites all over her body. She died on January 6 at University Hospital having never regained consciousness after the attack. "She died because of those injuries," said Dr. Natasha Keric, an assistant professor of surgery at the University of Texas Health Science Center who treated Clark. 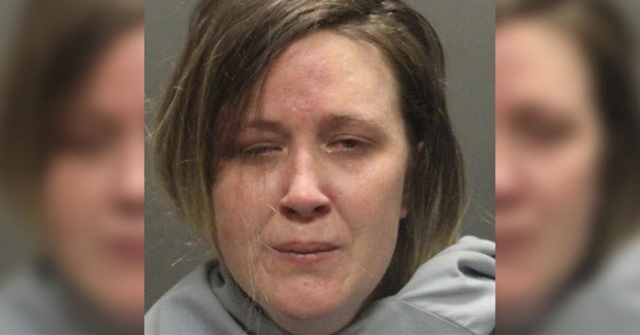 Specifically, she had bite injuries on all of her limbs, torso, abdomen and head, according to a case presentation on her death prepared by her doctor. The Comal County Sheriff's Office has not released the full incident report about Clark's attack citing an ongoing investigation. According to doctors and her niece, both dogs were pit bulls. The majority of the San Antonio Express-News article (who many readers cannot see because it is behind a paywall) pertains to this study and a rehearsed rehashing of the 30-year old pit bull debate. One of the primary authors of the study, Dr. Stephen Cohn, is interviewed in the article. "We've had people that have almost lost their legs just going out for a run," said Dr. Stephen Cohn, a professor of surgery at the Health Science Center. "This is a complete hazard for all of us." Cohn, one of the University Hospital doctors, has been vocal in his call for regulations on breeds such as pit bulls. He was one of the authors of a 2011 study that found that, while fatal attacks were rare, pit bulls were "the single breed responsible for the vast majority of deaths due to dog attacks." Cohn also pointed to a 2010 study that analyzed the effect of breed-specific rules on dog bites in a region of Spain. Governments there enacted regulations that required additional steps for owners of “potentially dangerous dogs,” some of which were defined by breed. 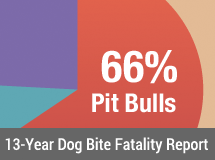 In a nutshell, while DogsBite.org has substantial concerns about dog mauling fatalities by all breeds failing to be reported by media outlets in all 50 states, the deaths of both Betty Clark, 75-years old of Canyon Lake, and Petra Aguirre, 83-years old of San Antonio, are possibly on public record at all today due to assistance from doctors at University Hospital. The advocacy movement needs health officials in every state to ensure that this information is public. Both victims fall into the most underreported scenario: senior citizens who suffer horrific injuries from a dog attack and die while being hospitalized for these injuries. Neither Clark nor Aguirre had a news report of their attack either, which left devastating injuries all over their bodies. 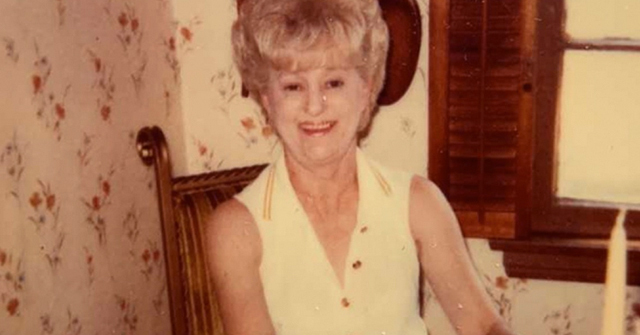 Clark was attacked on December 21 while delivering presents in her neighborhood. Not news worthy? Aguirre was attacked on March 31 while feeding her cats in her own backyard. Not news worthy? 1Hence, proving "knowledge" that the dog would attack and cause serious injuries or death is required. Learn more about "criminal negligence" (Part 1) in Texas felony dog attack law at DogBiteLaw.com. So this is #6 in 3 1/2 months for Texas? I would choose many forms of death over being shredded by pit bulls..the torturous pain these two elderly woman suffered while just going about their daily living. I always wonder about what happens to the people I read about that were put in comas, or critical condition. There are just so many, I am sure some have died, but its not reported. Does anyone else track this stuff, to compare stats against. Even if they aren't breed specific. Several times I have tried to figure out what happened to a particular victim, but was unable too. The kid that was put in critical condition by his dad's dogs in NJ is one I think about, as well as the adult that was in a coma. You might be referring to the DHEC employee in South Carolina. There was a late February update: "Eric Rogers, the 28-year-old DHEC employee, was out on a work-related call Feb. 3 when he was attacked by two pit bulls near Driggers’ Wilderness Place residence … The victim underwent emergency surgery immediately and remains in an area hospital. His mother, Angela Rogers, said doctors kept her son in a medically-induced coma for about a week." We are the least likely to hear about children (state and federal privacy laws) and especially children when child protection agencies have intervened. It is foreseeable that 20 to 50+ victims of violent dog attacks die while hospitalized annually and the public is not informed about these deaths. "Does anyone else track this stuff?" We believe it is tracked on a state level, but that information is rarely shared with the public. This information in its base form, via hospital code W54 "Bitten or struck by dog," is forwarded to the CDC at some point by participating hospitals.